In 1974, INOR introduced the world’s first head-mounted transmitter. The head-mounted temperature transmitter has since then turned into an international standard. The heritage of this has continued with more own-developed high quality transmitters including ATEX and SIL2-certified transmitters to transmitters with Profibus or HART communication. 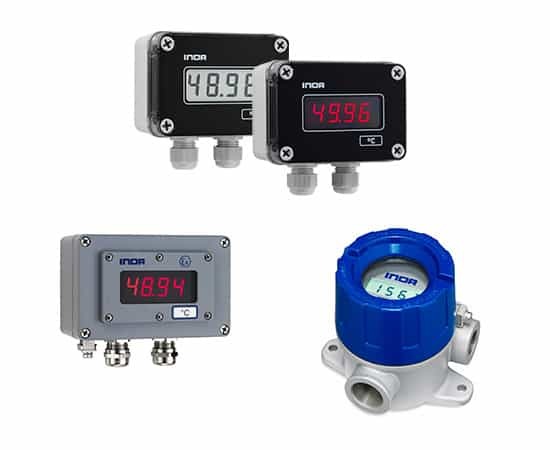 Regardless of what type of temperature sensor you are using in your process, INOR can provide a transmitter that suits your needs. With the know-how and innovative technology the IsoPAQ family offers isolators and isolation transmitter of the highest quality for signal isolation in the process and automation industry. Product versatility and performance, in terms of accuracy, response time and isolation level can be selected to meet the requirements for highly cost-effective installations, as well as applications with high demands on performance and safety of service personnel and connected devices. Thanks to efficient and patented signal processing and high cutoff frequency, the IsoPAQ products have a negligible distortion of the measurement signals. 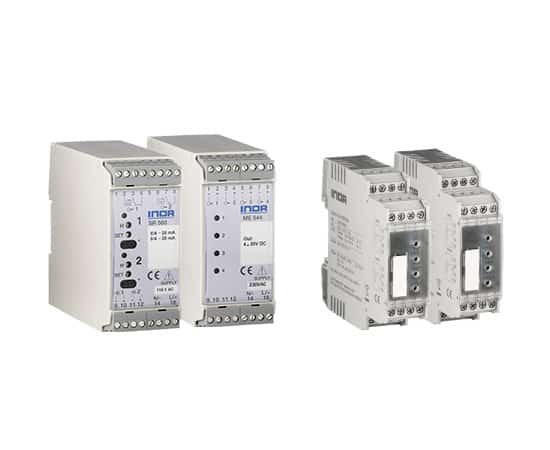 The input circuits are designed to minimize the load on the primary signals..
INOR has a wide range of indicators including simple displays as well as robust field housing for demanding applications. Common to all is a high reliability, and large clear displays for convenient reading. Available in the range are also intrinsically safe indicators and indicators with HART transparency. 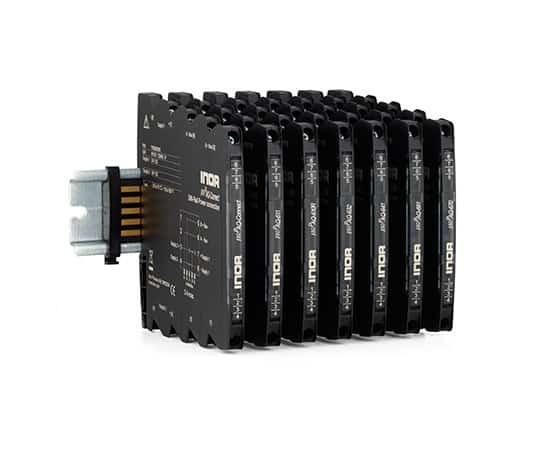 Thanks to the wide range INOR can offer solutions for all types of applications and process signals..
INOR offers Alarm Units for industrial temperature monitoring of Pt100, voltage and current signals in the process industry. Common to all Alarm Units are high reliability and interference-free safety alarms without false alarms. 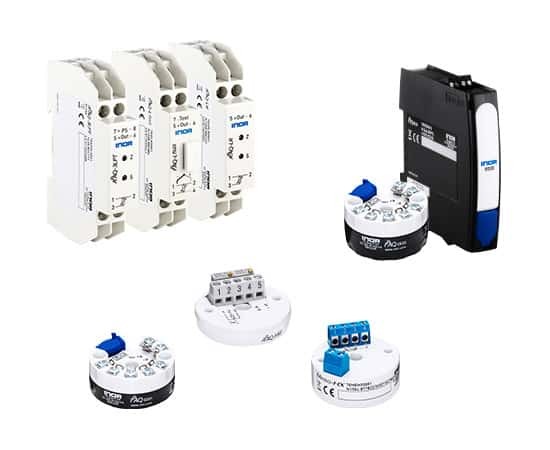 In our product range you will also find power supply with four galvanically isolated supply channels, where each supply channel is short circuit protected and has a current limitation to protect connected equipment.